Sketch comedy ensemble Schadenfreude will perform their monthly new content showcase at 8 PM at Gallery Cabaret, 2020 N. Oakley in Chicago’s Bucktown. The suggested donation is $10. Visit www.schadenfreude.net or call 773.489.5471 for more information. 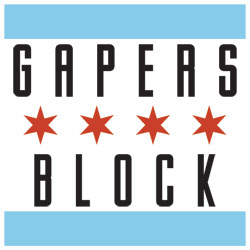 Gapers Block is holding its monthly Get-Together a little early this month to avoid stepping on your (and our) New Year's Eve plans. 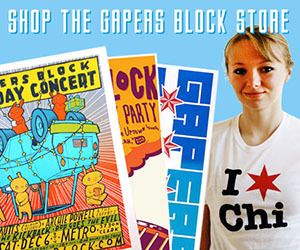 Come on down to Black Rock, 3614 N. Damen, tonight from 9pm to midnight or so. We'll be in the back room, with boardgames, beer and holiday treats. See you there! Based in Brooklyn but claiming members from all over the globe, the "gypsy-punk" ensemble Gogol Bordello will be playing at the Metro this evening. Doors open at 6:00pm, with Valient Thorr and Dan Sartain scheduled to open. See the Transmission page for further info. 3730 N. Clark St. Tickets are $18. Local toy designers Oh No! Doom are celebrating the release of their first product, Fluffybadbad, "the cutest, most deadly plush toy in the whole wide world," at Rotofugi tonight from 6pm to 9pm. Complimentary drinks will be served, DJs Trey, Inglish and Mode will be spinning, and the cash register will be ringing. 1955 W. Chicago Ave. More info here.